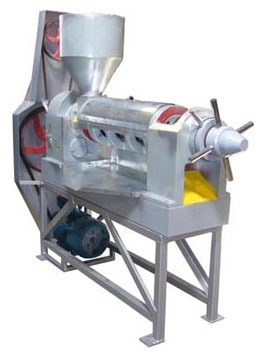 This economical cold oil press will provide yields of more than 33% on sunflower seed and can expel oil from many different types of seeds and requires only filtration (in the case of sunflower seed) to be edible. The SGC120 expeller is now available at a ridiculous price to enable you to start your own successful business. The SGC300 is in turn, a larger size expeller for small to medium scale enterprises and uses a 15 to 18.5kW drive which is included in the price. Sunflower: 120 kg/h *Capacity is dependent on quality and type of seed, moisture, whether de-hulled or not, whether ground, conditioned etc.